The Current American Ambassador for the US in Pakistan is David Hale. The US Consulate General Lahore has made the US Embassy work easily for the citizens of Lahore. The Lahore office provides round the clock services not only to the citizens of US situated in Punjab but also passport assistance for others. 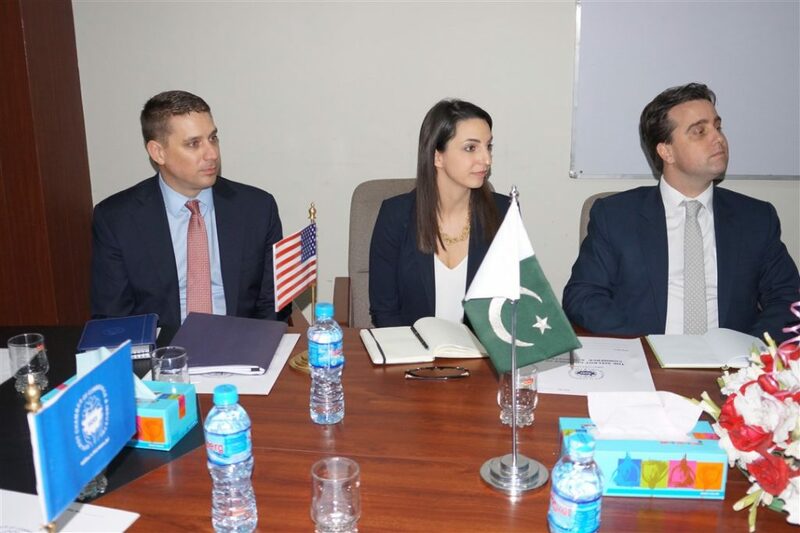 The establishment of US Consulate General in Lahore has increased the chance of foreign education opportunities not only for students but for people of all age groups. Even though the US Consulate General Lahore is not performing visa processing services, yet they can still assist you with any queries related to the visa process. To get your queries processed smoothly, it is important that you get an appointment prior to your visit to US Consulate General Lahore. You can easily schedule yours and your family member’s appointment schedule online, through US Consulate General website. To make you well aware of the procedures, the website guides you well about the things you would need to bring along and other details. The US Consulate General Lahore citizen care representatives are highly trained and skilled person. They go through proper training and education before they are appointed to assist and work with citizen queries. The main aim of establishing US Consulate General in Lahore is to reduce traffic towards Karachi and Islamabad office and to provide assistance near to your home. They also provide American Citizen Services (ACS) to the Americans living in Pakistan. All agents at the US Consulate General are dedicated to serving all citizens, but to get satisfactory services it is important to follow the important rules provided to you. Ambassador David Hale attends the Event of the International Day of the Girl Child, held at Serena Hotel, Islamabad. To Advance Innovation in Water Use Technology American Embassy Leads the Trade Mission. 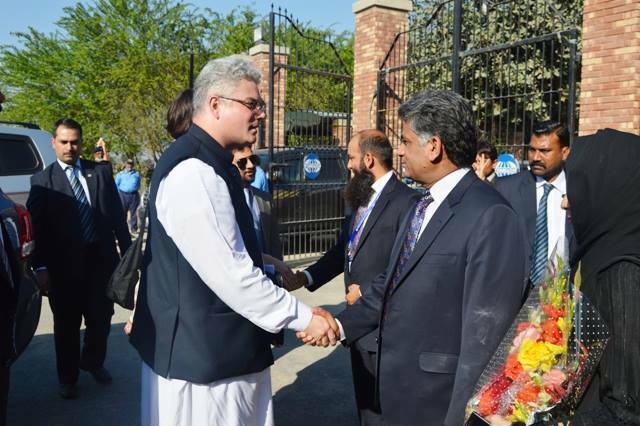 International Higher Education of Pakistan Gets Support for Pakistani Scholars from the United States. 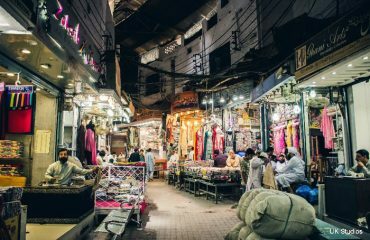 To encourage Exchange Programs & Mentorship, the Pakistani “TechWomen” Travel to the United States. The US Consulate General Office will remain closed on all American Holidays and Pakistan Public Holidays. Arrive the US Consulate office 15 minutes prior to your appointment time so that you do not miss your turn. Be vigilant and listen carefully to all instruction provided by the agent. Follow your line and do not try to push-in your way. Be respectful to others, and you will be treated well. Read the signs and follow them, you would not get lost. Keep your ears high and be patient for your call. 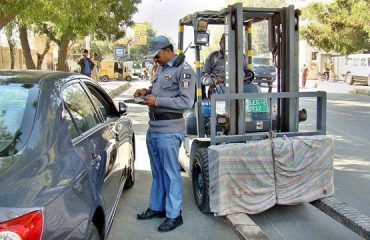 Always keep an extra set of documents or an extra photocopy, so that your visit is not wasted if something is misplaced. Visa Services are only provided at American Embassy located in Islamabad. 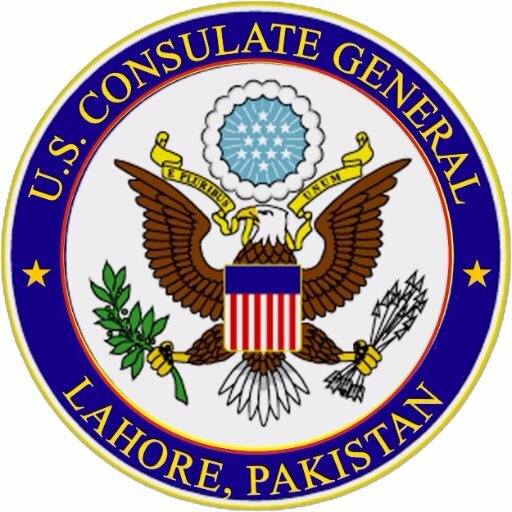 Before visiting the US consulate office in Lahore, visit the website. It might save you a day’s trip. You can easily contact the US Consulate General in Lahore through their website or through following details. The office working days are from Monday to Friday, starting from 8:00 a.m. to 4:30 p.m.